I tried Nutella. It doesn’t have much of a taste. 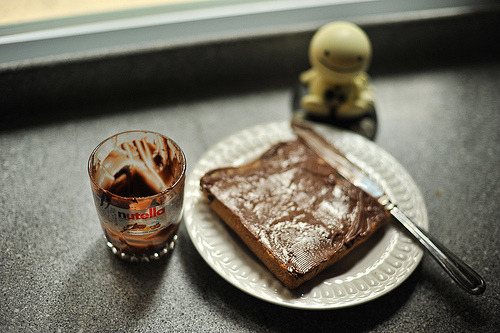 The look of it irritates me, but it’s a fun food just because it’s called Nutella and I feel “edgy” eating it. But what else can you do with it besides putting it on crackers & bread? 5+5=10...Happy Anniversary of Being Born!